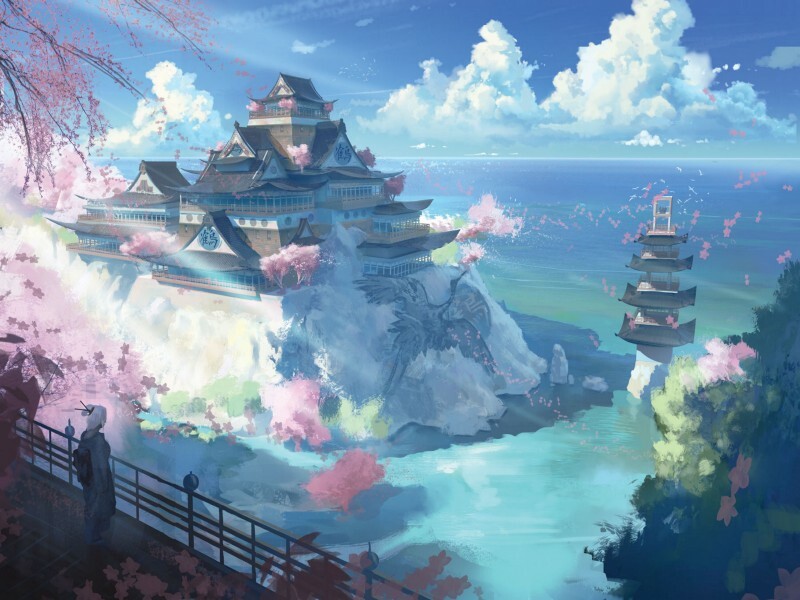 Shizuka Toshi, or Quiet City, is a city in Crane lands which hosts the Doji Courtier academy. It is fitting then, that the card’s ability so clearly favours political conflicts. In the early game, when characters are limited, it makes it very hard for the opponent to contest political conflicts. They must account for the ability by only assigning 3+ skill characters or accepting that one character will be bowed. Later in the game, it can be used to pick out characters which have to bow as a cost before they can be used. This may involve some setup, for example dishonouring a character, to make sure they have 2 or less political skill. As the ability can only be used in political conflicts, this encourages the Crane to use the province Rally to the Cause, which allows them to switch the conflict type. 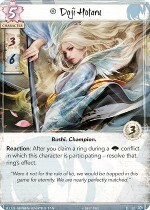 There are two 1 Fate cost characters from the Dynasty deck. The Doji Whisperer and Asahina Artisan have a clear focus on Political conflicts with both able to contribute an impressive 3 Political skill for their relatively low cost. While the Doji Whisperer has it as a base skill the Asahina Artisan has an ability that requires bowing to give another Crane character +3 Political skill. The drawback here is that the Artisan needs another character to target, alone the Artisan is effectively 0 skill. The ability does let the Artisan stay out of conflicts only using the ability when needed. In a scenario where you have two Doji Whisperers and one Asahina Artisan, you can attack politically with one Whisperer and if you don’t need the Artisan’s boost it will be there when your second Whisperer defends. If you don’t use the Artisan’s ability then you will have 2 glory unbowed to contribute for the Imperial favour. There are five 2 Fate cost characters. 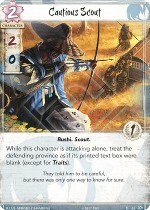 Brash Samurai, Daidoji Nerishma, and Cautious Scout provide a Military base missing from the 1 cost characters. Brash Samurai and Savvy Politician demonstrate honoring characters as a focus for the Crane clan, useful in both boosting skill and gaining honour. 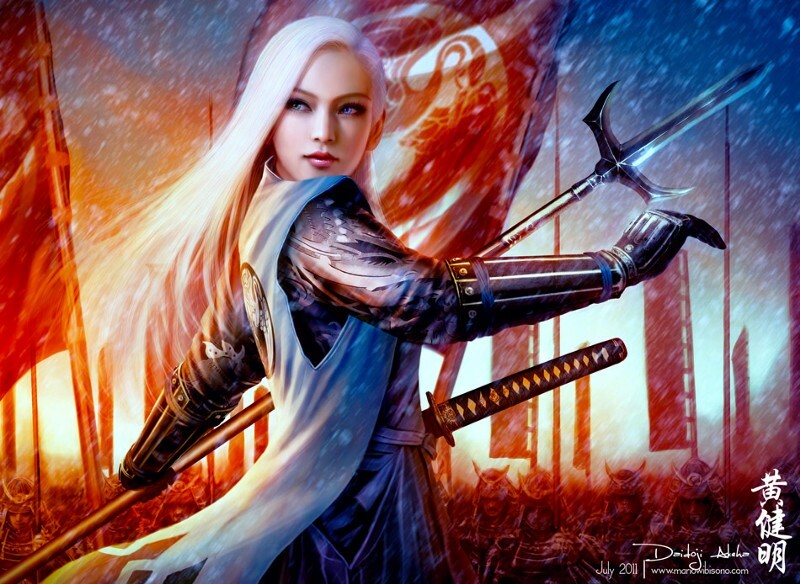 The Doji Gift Giver provides an extra Courtier and has an ability that bows opponents. 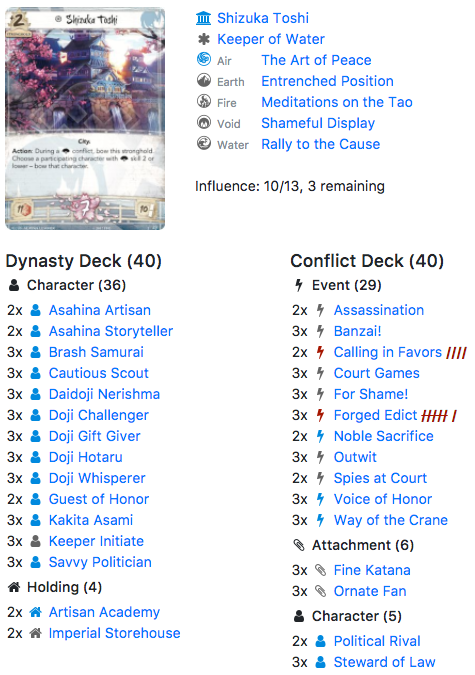 Daidoji Nerishma is above the curve with 3 military and 1 political for 2 fate. He has an excellent dynasty acceleration ability which helps provide options during the dynasty phase and dig for extra copies of uniques for free fate. Notably, his ability should not be used when you have the initiative as the extra action it requires denies you the opportunity to gain a fate from passing first. In those cases, the ability should be used after the Dynasty phase to improve Dynasty card cycling. As broken provinces get discarded anyway, using his ability on a broken province is a risk it might get you a useable holding or you could end up losing a card you were hoping for next turn. The Brash Samurai is a 2 cost Bushi with 2 military, 1 political, and 2 glory. These are typical skills for a character of this cost. The Brash Samurai sets himself apart by having an ability that honors him when he is your own participating character. This means the Brash Samurai is a 4 military and 3 political character who can take provinces. That he can easily become honored helps power up cards we will see later such as Voice of Honor and Noble Sacrifice. The Cautious Scout a 2 military, 0 political, 1 glory character. When this character is attacking alone, the province he is attacking is considered blank. This makes him a useful scout to send into a province with minimal risk. At 2 military he can break provinces with a single boost, a Banzai! or Fine Katana for example. He does need to be attacking by himself for his ability to work. This solo hero idea also appears with the Brash Samurai. As both are vulnerable to Assassination you don’t really want to attach lots of cards to them. 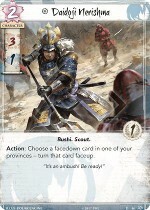 For Crane, political conflicts are the priority, characters like Cautious Scout and Brash Samurai allow the Crane to use military conflicts to threaten, win rings, and scout ahead of the political conflicts to come. The Doji Gift Giver has been somewhat divisive with some players loving it and others disliking it. The cost of giving a fate to your opponent is pretty rough, and the target of the bowing is decided by your opponent. Those who do like her point out that the ability, when used at the right time, is very strong and can win a conflict. The mere presence of the Doji Gift Giver on the board forces your opponent to pause before every conflict to account for her. The Savvy Politician is a 2 cost Courtier with 1 military, 2 political, and 1 glory. When the Politican is honored you can choose another character and honor that character also. This makes her a perfect target for Way of the Crane getting an extra character honored. Although her glory is only 1, this can be considered a free +1/+1 and a free honor. Like the Brash Samurai, this ability helps the Crane keep an honored board to keep Voice of Honor active and to use Noble Sacrifice. The 1 and 2 cost characters are very defining for a clan. They provide extra characters to fill out the board often only staying in play for a single turn. 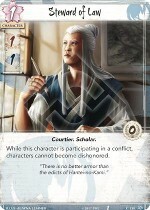 From the traits, we can see that Courtiers are going to be a primary focus for the Crane clan. For Courtiers we know there is For Shame! and Outwit, both excellent cards. There are two Bushi a trait mainly useful for Rout. 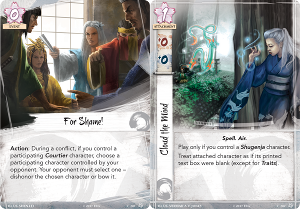 There is a 1 cost Shugenja, the Asahina Artisan, with this the Crane clan may be able to run one or two cards such as Cloud the Mind but will be unable to reliably play cards requiring Shugenja. Kakita Kaezin seems like an excellent card, he has 3 military, 2 political, and 2 glory so he is well rounded. His ability is a duel, which has always been a popular with the Crane. He is an excellent defender. Drop a weapon or honour him to 5 Military and then defend with Kaezin and challenge your opponent. Your opponent does get to pick the defender, but if Kaezin wins, he sends everyone but Kaezin and his opponent home. At worst, Kaezin goes home after losing the duel, if he was unbowed he returns home unbowed ready to assign to a new conflict. Unfortunately his send home does not bow characters, leaving them ready to defend or attack again in another conflict type. 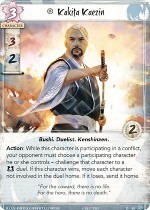 This puts Kaezin in a class similar to many of the other Bushi in the Crane clan, solo heroes rather than team players. Kaezin can go into any conflict and with a little setup, turn it into a 1 on 1 battle where hopefully Kaezin has the edge. Unfortunately, there is only so much room for heroes in the Crane clan and often Kaezin is edged out by the Brash Samurai and Cautious Scout for that role. Kakita Asami has decent stats of 1 military, 2 political, and 2 glory but where she really shines is her ability. If she is in a political conflict and you have more political skill than your opponent, something common for the Crane, she can take one honour from your opponent and give it to you. As this exact effect is one of the options for the ring of air, she is essentially giving you an extra ring benefit. Due to the strength of her ability, it is unlikely you would want to assign her to a military conflict, which does mitigate her low military skill somewhat. 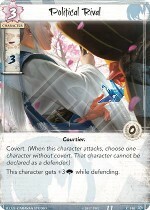 In the 4 cost range, Crane has two characters, Guest of Honor and Asahina Storyteller. Both characters are Courtiers and have 4 political skill reaffirming those twin clan focus. Guest of Honor has a quite powerful effect preventing your opponent from playing event cards during conflicts. This significantly limits the options of the opponent and gives the Crane player increased confidence in whether they can win a conflict or not. As many of the ways to deal with a character are actual event cards, the Guest of Honor is incredibly hard to deal with. 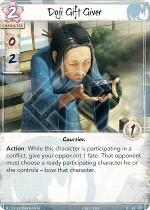 This action prevention appears to be a Crane clan theme as we will see when we look at the Cranes conflict deck. 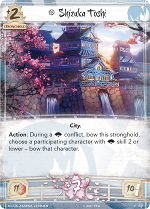 The Asahina Storyteller in addition to being a Courtier is also a Shugenja, assisting the Asahina Artisan in opening up some Shugenja specific cards. The Storyteller’s ability generates conflict card draw, a limited commodity for decks choosing to honor run as they are typically bidding 1 during the card draw phase. The ability requires honoured characters, something the Crane are going to have. As a 4 cost character however, the Storyteller is not offering a lot. 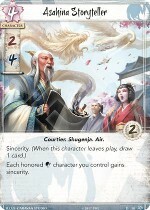 The 4 political skill is perfect to take provinces with and the dual traits of Courtier and Shugenja is quite flexible, but the ability is somewhat conditional and doesn’t seem to have the impact you would expect from a 4 cost character. The Storyteller will certainly make it into decks which use the Shugenja trait and may be useful in decks looking for card draw, but I would expect the Asahina Storyteller to be a very tempting card to cut. 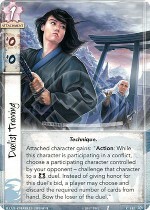 Doji Hotaru is the first clan champion we have seen and does not disappoint, she is more than the ‘very good’ her father reprimands her with. At 5 cost she has 3 Military Skill and 6 Political skill with 3 Glory. Given the Crane clan’s focus on honoring characters, we expect that 3 Glory will quickly turn into a +3/+3 bonus. Doji Hotaru’s ability is to resolve the ring ability of a ring you claim during a political conflict. This means, if you win on the attack you can trigger the ring ability a second time. Resolving any of the rings twice in one turn is amazing. While it is possible to use her reaction in defense, as the rings are all phrased to benefit the attacker it is unlikely this will be of help. Like all of the clan champions, she clearly is worth the investment if she appears on turn 1. Although the 5 cost is significant, the unique status of Doji Hotaru is a considerable bonus. If Hotaru is recruited turn 1 with 2 Fate on her, there will be another 15 cards of the Dynasty deck revealed before she finally leaves play giving around a 60% chance of another copy being revealed keeping her around for another turn. 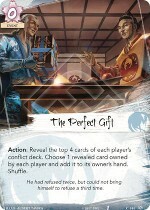 Hotaru on the board for four turns should make a powerful impact. It may end up a serious option to mulligan for a clan champion in the hopes of getting it first turn (~50% chance). Then discard aggressively to get an extra copy. 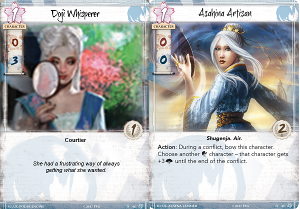 The last two cards from the Dynasty side are the holding Artisan Academy and The Art of Peace which is the Crane unique province. The Academy has a useful card draw ability allowing the top card of your conflict deck to be played in the conflict phase as if it was in your hand. You can choose to use the Artisan Academy’s action before a conflict, within or after a conflict. 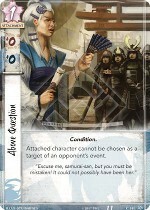 Activating it before a conflict reveals the card to your opponent and gives them the chance to play around the card. 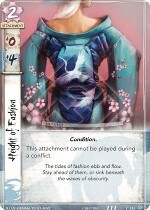 If you reveal it during a conflict, cards which cannot be played in conflicts such as Height of Fashion have to stay on top of your deck until the after the current conflict. Nonetheless, it does provide cards which will be valuable for a deck attempting to run by honor. The Crane province, The Art of Peace, has a healthy province strength of 4 which is better than average. The ability on it only triggers when the province is broken, so it is no help in defending itself. The benefit is quite strong. Assuming the attackers are 1 glory and the Crane defenders are 2 there will be a massive shift across the board, and it will push the game nearer to a dishonour or honour victory. Getting a good use out of it can be tricky though, it is rare that you could defend with all your Crane characters as it would leave you open for your opponent’s second attack. The characters who were in the conflict will end up bowed, so they will not be useful for the remainder of the turn. 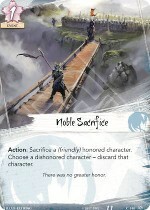 Way of the Crane is a Crane only card, so other clans will not be able to use it even if they ally Crane. 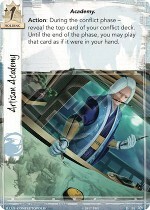 It is free and has the simple effect of honouring a character, but it plays so well into the Crane card pool. With the Savvy Politician, you can honour two characters. With the 2 Glory duelists, it gives a healthy Military skill boost to help them win duels. It sets up for Voice of Honor and Noble Sacrifice. With most characters at 2 glory, it will be an easy +2/+2 and +1 honour. It also provides protection against dishonour effects providing a way to rehonor a character immediately after it is dishonoured. It will likely remain a Crane staple for years to come. The perfect gift is easy card draw with an impulse effect (impulse was a magic card that said look at the top 4 cards and add one to your hand). The drawback, of course, is that your opponent gets a card also, and they get that card for free, not having to take an action and expend a card from hand like you did. Being able to view your opponents top 4 cards will give a chance to determine what clan they have allied with but will also give away what clan you have decided to ally with. Importantly it is free and can help turn a conflict to get you just the right card at the right moment and to give your opponent something they can’t afford. The current concensus is that this is not worth running. Although you do get to pick the best card for yourself and the worst card for your opponent, you will end up losing a card to do so. This might become useful in combo decks of the future but is not currently recommended. The Steward of Law is a 1 Military and 1 Political Courtier. As a Conflict card it does come as a surprise and at only 1 Fate cost is quite affordable when you need a character. 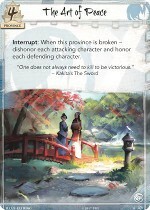 The Steward’s text which prevents characters from being dishonoured when the Steward is in a conflict appears very conditional, relying on your opponent having cards which have dishonoring as a cost or effect. This is beneficial with the courtier card For Shame! as your opponent must bow their character. It also prevents the Scorpion from playing several of their cards such as Forged Edicts and Calling in Favors which have dishonoring as a cost. On the other hand, it does prevent you from playing your own Spies at Court, as characters remain in the conflict for a few steps after the winner is decided. This is also true for Ring of Fire, as the ring resolves at step 3.2.6 but the Steward of Law remains in the conflict until step 3.2.8, the Ring of Fire must be used to honor a character rather than dishonor one. The three cards Duelist Training, Noble Sacrifice, and Admit Defeat all offer a form of character removal. The Duelist training and Admit defeat each bow a character with specific requirements. The Duelist training does include a duel, which due to the honour bidding aspect may be beneficial to try to lose in the hope of gaining honour. That the duel is a military based duel makes it more effective during political conflicts as high political skill characters with low force can get taken out by the duelist. Admit defeat can only target a character defending alone making it a very offensive card. Its very presence encourages decks defending against the Crane to add an extra character in just in case. It also works very well with Kakita Kaezin, if he wins his duel while attacking there will be only one defender who can later be bowed with Admit Defeat. Noble sacrifice requires a lot of setup, an honoured and a dishonoured character. The effect is brutal, discarding a character regardless of cost, skills, or amount of fate can have a massive impact on the board. 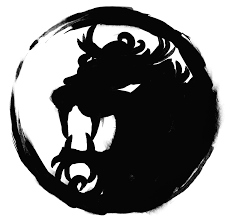 This is something that will best be set up by the Crane or Scorpion clans where they already have effects, such as the Way of the Crane or Way of the Scorpion, to honour or dishonour characters. For the Crane, options to dishonor are essentially limited to using the Ring of Fire. The ability to cancel your opponent’s actions cannot be oversold. The only time when it will not be good is when your opponent is playing poor or no actions. Voice of Honor is a 0 cost interrupt that cancels an action if you have more honoured characters than your opponent. 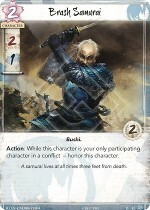 Given the Crane’s focus on honour characters, I’m expecting this card to find a place in every Crane deck ever. For other clans it will be a little bit trickier to use. The Above Question condition has a similar effect but only protects one character, and in so doing results in your other characters being targeted instead. If you have this on a powerful character such as Doji Hotaru it is a massive headache for the other player. Although it costs 1 fate, this card compared to Voice of Honor is more usable for clans that choose to ally Crane. In both cases, this protection only applies to event cards, so it does not protect from abilities on characters, abilities on attachments, or ring effects. Notably this protects 2 cost characters from Assassination. Although of limited use, it is notable that playing this on an opponent’s character does prevent them from targetting them with benefical cards such as Way of the Lion or Banzai! Height of Fashion is a straight forward +4 political boost for a cost of 2. Politicals are not very common and at 2 Fate for 4 skill it is cost effective. As previously mentioned, the limitation does mean it can’t be played during the conflict if revealed with Artisan Academy, and as it will be played before a Conflict it is not a surprise for the opponent. Unfortunately this may be the death of this card. It is almost always preferable to wait and play your attachment cards during the conflict after you get to see how your opponent assigns. If you don’t need to play it, then you hold onto the 2 fate. In this case, you have to play the card ahead of time, revealing part of your hand (the Height of Fasion) to your opponent. Political Rival is a 3 cost conflict character with — military, 3 political, 0 glory, and the Courtier trait. This character gets a +3 political bonus when defending for a massive 6 political skill playable form hand. He also has the Covert trait, which allows him to prevent an opponent’s character from defending when the Rival attacks. 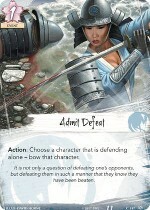 The covert ability often ends up denying your opponent his last defender resulting in an honor loss. That the Political Rival can be played from hand as a surprise when the remainder of your board is bowed increases the likihood of a successful attack. The cost of 3 is quite steep, essentially this needs to be treated as if it is a dynasty character. You are going to need to make one less character during the dynasty phase to be able to afford this. 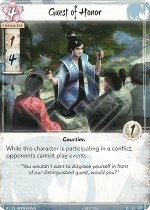 As a dynasty character the Political Rival would be similar to Doji Asami with similar skill and a similar ability in that Covert often results in your opponent losing an honor. Conflict characters like this can also help if you end up with a poor dynasty draw, so they should not be underestimated. Other clans looking to ally with the Crane have a number of options. The Steward of Law at only 1 influence is a very popular splash for decks looking to use Courtiers. The interaction with For Shame! which the Steward of Law has the Courtier trait to play is especially notable. 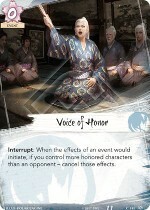 As there are some powerful event cards in the environment, the Crane’s Voice of Honor at 2 influence is an attractive option. It is likely only the Phoenix will be able to maintain the honored board needed to play it. Above question at 2 influence could be popular with those looking to protect their characters, this is especially the case for Dragon who will be looking to invest in single powerful characters. Noble Sacrifice could find some favor with Scorpion and Phoenix as additional kill actions. Depending on the clan, the Admit Defeat, Duelist Training, and Political Rival all provide decent options to round out the splash. 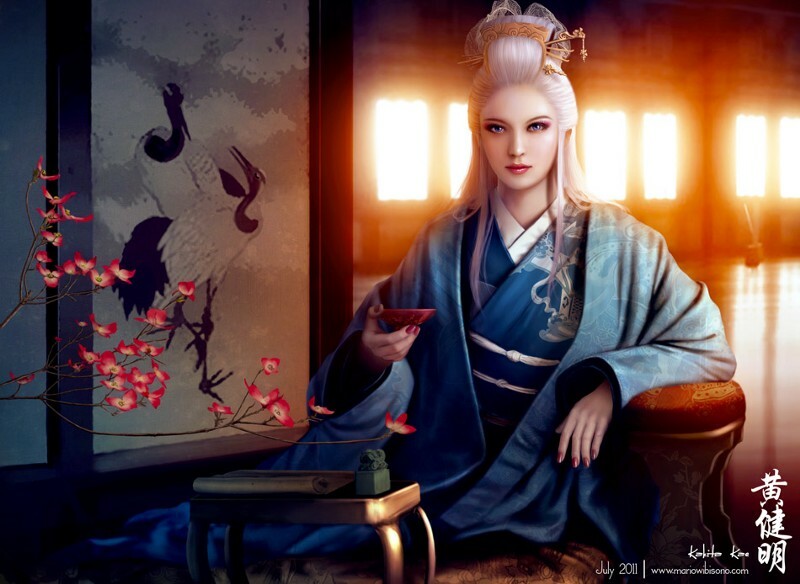 The Crane currently have the Keeper of Water role and as such have 13 influence they can use to get cards from other clans. Dragon cards are all 2 influence, so Crane can get any 6 of the Dragon options. This most likely will be 3x Let Go for attachment destruction and 3x Mirumoto’s Fury which is one of the best defensive events in the game. Lion offer Stand Your Ground a 2 influence card that requires an honored character and as such is very useable for the Crane. Ready for Battle at 1 influence provides a good counter to the many bow actions including the Ring of Water that are in the game. There are a few options for the remaining 4 influence, Honored blade is a decent weapon at 1 influence, Sashimono doubles the effectiveness of Bushi for 2 influence and Strength in Numbers is an offensive send home also for 2 influence. Scorpion have the other counter card, Forged Edict at 2 influence. 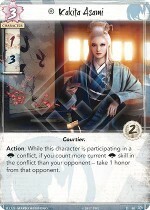 A Crane deck with Voice of Honor and 3 Forged Edicts will have full lockdown on events. Calling in Favors is a viable anti-attachment card at 2 influence. Fiery Madness at 2 influence is a -2/-2 attachment for your opponent’s characters that will help you use the Crane stronghold. Court Mask is a +1/+2 attachment for 1 f and 1 influence that can be returned back to hand dishonoring the character who had it. Luckily the dishonor is an effect not a cost, so while the Steward of Law no one gets dishonored. Crab aren’t offering a lot to the Crane at the moment. The Watch Commander is very popular but is more focused in dishonor which the Crane aren’t really focused on. Reprieve at 1 influence is going to be great in any deck. The Jade Tetsubo or Crab characters Stoic Gunso and Hiruma Ambusher may be useful to boost the military options for the Cran deck. Unicorn options are limited as they focus a lot of Cavalry. For all clans, 3 Spyglass and 3x Favored Mounts are decent options providing card draw and maneuverability for a total of 9 influence. Phoenix have the big powerhouse card of Display of Power at 3 influence. 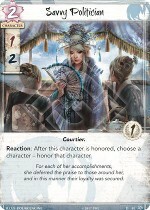 They also have some other cards of interest to the Crane including the 1 influence Magnificent Kimono which gives pride to honor up more characters and Seeker of Knowledge also 1 influence to allow triggering an extra air. Playing a Pacifism, 2 influence, on a 2 political skill character forces it to assign into only political conflicts where it will be vulnerable to the Crane stronghold. 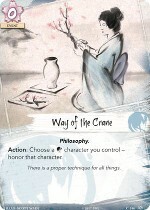 Overall, the Crane cards provide a very strong basis for an aggressive political deck. Although there is an assumption they will win by honor based on the old incarnation of the game, the card pool revealed so far does not push them into that role. They have the skill needed to take provinces through political conflicts and abilities to prevent others from interfering. The decision is how to bid during the draw phase. More cards give more options to crush provinces, fewer cards retain more honor getting closer to an honor victory. The abilities to honor Crane characters and the motivation to do so will help the Crane decks compete in the Military sphere. As more characters are honored, the Crane players Military board increases. It is also notable that while they have a total of 30 Political skill across their characters they still have 20 Military skill. So while early game they will be relying on their Bushi characters like Brash Samurai, Kakita Kaezin, and Doji Challenger later in the game their 1 Military characters will be boosted to 3. A suggested Crane deck using 3 core sets is included below. The goal of this deck is to honor characters to help them take provinces. This should keep the Crane relatively high on honor, but it is unlikely 25 is a realistic target. Instead, the honored status should be used like a weapon. If you have any comments or feedback please post them in the comments section below. This post will continue to be updated as suggests are made. Thanks to Bayushi Akai for the errors spotted already! Thanks also to Mig el Pig, Mudders_Milk_Man, Kubernes, Radix2309, and Drudenfusz who all provided feedback that has been included. I’m leaving this comment from Eugene Earnshaw on the FFG forums for my own reference as it raises an interesting discussion in relation to dynasty buys. I think its a topic that is worth discussion and does impact the above article, but it’s not something I can easily fit into the article as is. Very interesting strategy article and a lot of the analysis is pretty solid. One thing that I think is off target is the discussion of dynasty buys in general. There is not much reason to put fate on 1 drops, and especially not 2 fate. There can be reasons to do it, but in general it is a bad call. Better to save cash for conflict cards, or put extra fate on more expensive characters. My experience is that it is not practical to put half, or even more than half of your fate on characters. It makes you super weak early, and games can easily be over in 3 turns. Putting 2 fate each on a 2 and a 1 drop is a bad start. Better to buy the 1, buy the 2 with 1 fate, and then another 2 with 1 fate, for example. Or a 3 drop with 2 fate and a 1 drop. If you are trying to build up to a big turn, it makes the most sense to put fate on only 1 powerful character rather than 2 weak characters. So, for a turn 3 peak, you want to say buy a 4 drop with 2 fate and a fateless 1 drop to help keep you afloat in the first turn. I agree with the assessment that Crane might not necessarily be a honor-running deck only. I think it will still be a smart play, given that honored characters give you some honor when they hit the discard pile. I do believe that the entire game will be made of decks that need to be open to switch win conditions on the fly. However, the honor-bidding system makes honor seem a bit more like a tug-of-war than an ominous point grab. With at least one character that steals honor directly, and only needing to gain 14 honor to win, it doesn’t take many actions/turns to win. Buying Hotaru, with 1-2 fate. Attack politically for a void ring, and keep her for most of the game. Buying 4 1-2 cost characters, having both attacks and 4 honored characters netting you as much as 4-10 Honor, 4 away from winning the game. In the Banzai! article we saw the honoured token, which indicates you gain one honour when they leave play rather than the originally speculated glory. I’m definitely with you in wanting to rack up that honour for an honour victory, but I’m still not convinced we should let them go so soon. I do feel like I’m in the dark with this at the moment, but working through examples and seeing what happens does seem to help. 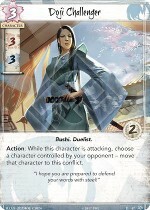 A turn one Brash Samurai, Brash Samurai, Doji Whisperer, and a Savvy Politician (6 Fate in total) with a Way of the Crane in hand will end turn one with 4 characters honoured leaving play. Those Brash Samurai are 4/3, the Doji Whisperer is 1/4, and the Savvy Politician is 2/3. That is pretty awesome, but all that leaves in a turn. Might it be better to only get one Brash Samurai leaving the second till the next turn. Spend the 7 on the remaining 3 with a token each. Then you retain a 4/3, 1/4, and 2/3 for an extra turn. You do gain the honour a turn later, but you’re still getting it. I think the difficulty is going to be consistently honouring characters. Three Way of the Crane are obvious includes. The three Brash Samurai and Savvy Politicians are effectively 3 more each. After that I think you’re pretty much down to Ring of Fire. The perfect situation would be to have all your honoured personalities stay around until the final turn when they finally all simultaneously get discarded and bring you to exactly 25. I agree. Consistently honoring characters is going to be a real challenge. Personally, having characters in provinces each turn will help a ton with the concern about keeping what you have. We can’t spend all our fate on personalities, we need those actions/attachments too! If you win each conflict you attack for, and choose fire and air for each one, that’s 7 honor a turn. 2 turns to win! Let’s say instead you decide to keep your dudes an extra 2 turns and only buy 2 like you suggested in the article earlier. Let’s make those 2 people a savy politician and a doji whisperer. So in one turn you will get 2 honor if you win both attacking conflicts, and 2 honor later (maybe, they could be dishonored by the endgame still). If all goes well, and we keep this pace all game, we can win by turn 4. If we look at your more recent suggestion, we have a brash samurai, a doji whisperer and a savy politician with 2 honor gained during the turn and the promise of 3 more later. If all goes well with this game, we can win by turn 3! Not bad, and we will have an awesome turn 2. In the end, it sounds like we have different tastes. But that’s what gets me so excited for this game. Both your strategy and mine seem entirely viable. While I agree that honoring out at the end of the turn is a fine way to win, in my mind this is in no way ‘perfect.’ You run a ton of risk using this strategy, bent on keeping your personalities honorable the whole game long. It’s a bit like the old birds in the bush saying. I’d like to have my train run on time, with the honor I worked to get in hand at the end of the turn, vs being mucked up by my opponent. Sorry first situation is 6 honor a turn. Win on turn 2-3 depending if you can squeak out 2 extra honor.